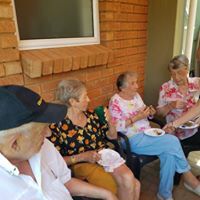 Medifrail Olive Crescent Frail Care Pretoria is a 20 bed facility, located in the quaint Olive Crescent retirement village only 6km from the Netcare Pretoria East hospital. It offers exclusive treatment and care for the frail with specialisation in Alzheimer’s and Dementia care. The village is comforting, safe and secure, with an environment designed to give peace of mind, joy and happiness. With qualified and passionate staff, you can rest assured that your loved ones will be taken care of in the most professional manner with round the clock 24/7 nursing care. Olive has a Registered Nurse that works in unity with a team of Care Workers to bring you top level service; this service also incudes medication management by the nurse. 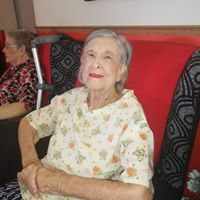 Medifrail Olive Crescent Frail Care Pretoria offers a variety of daily activities to ensure that your loved ones get the exercise that they need, as well as the social interaction. These activities include Arts & Crafts, Board Games, Ball Play, Physical Exercises, Music Activities, as well as Television. We also offer services related to beauty in the form of daily Manicures and Pedicures, that has been shown to boost happiness within the patients. We also offer a live in Hairdresser. The Care Workers are their to constantly assure the health, happiness and hygiene of your loved one. They take care of all daily duties which include, but are not limited to, daily bathing/showering, dressing, oral hygiene, skin care, etc. All of our patients receive six balanced meals per day with menus that get interchanged regularly. We believe that good food, in the form of nutritionally balanced meals, are the key to longevity. Olive also offers a Doctor that comes in once a week to check on all of our patients. He can also be contacted during emergencies, and we also offer Critical Care Ambulance Services. We treat all patients with Alzheimer’s, Dementia, Parkinson’s, Multiple Sclerosis, and other Frail Care illnesses. 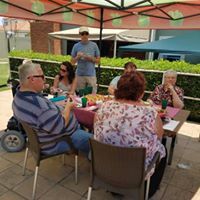 We also ensure that all bedridden patients are treated with specialized care, and are removed daily from bed to join the other patients in the living area with the use of wheelchairs. 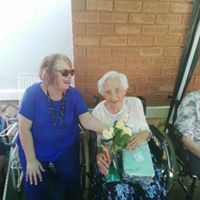 string(44) "Medifrail Olive Crescent Frail Care Pretoria"
string(2196) "  Medifrail Olive Crescent Frail Care Pretoria is a 20 bed facility, located in the quaint Olive Crescent retirement village only 6km from the Netcare Pretoria East hospital. It offers exclusive treatment and care for the frail with specialisation in Alzheimer’s and Dementia care. The village is comforting, safe and secure, with an environment designed to give peace of mind, joy and happiness. With qualified and passionate staff, you can rest assured that your loved ones will be taken care of in the most professional manner with round the clock 24/7 nursing care. Olive has a Registered Nurse that works in unity with a team of Care Workers to bring you top level service; this service also incudes medication management by the nurse. 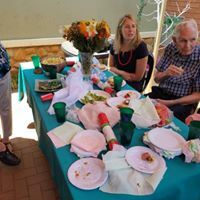 Medifrail Olive Crescent Frail Care Pretoria offers a variety of daily activities to ensure that your loved ones get the exercise that they need, as well as the social interaction. These activities include Arts & Crafts, Board Games, Ball Play, Physical Exercises, Music Activities, as well as Television. We also offer services related to beauty in the form of daily Manicures and Pedicures, that has been shown to boost happiness within the patients. We also offer a live in Hairdresser. The Care Workers are their to constantly assure the health, happiness and hygiene of your loved one. They take care of all daily duties which include, but are not limited to, daily bathing/showering, dressing, oral hygiene, skin care, etc. All of our patients receive six balanced meals per day with menus that get interchanged regularly. We believe that good food, in the form of nutritionally balanced meals, are the key to longevity. Olive also offers a Doctor that comes in once a week to check on all of our patients. He can also be contacted during emergencies, and we also offer Critical Care Ambulance Services. We treat all patients with Alzheimer’s, Dementia, Parkinson’s, Multiple Sclerosis, and other Frail Care illnesses. 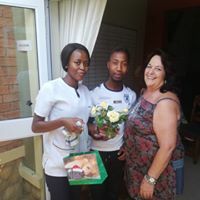 We also ensure that all bedridden patients are treated with specialized care, and are removed daily from bed to join the other patients in the living area with the use of wheelchairs." 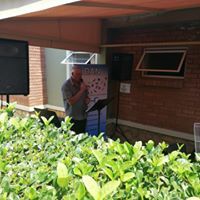 string(28) "Olympus, Faerie Glen, Menlyn"
string(147) "Medifrail Olive Crescent Pretoria is a 20 bed facility, located in the quaint Olive Crescent retirement village only 6km from the Netcare hospital."